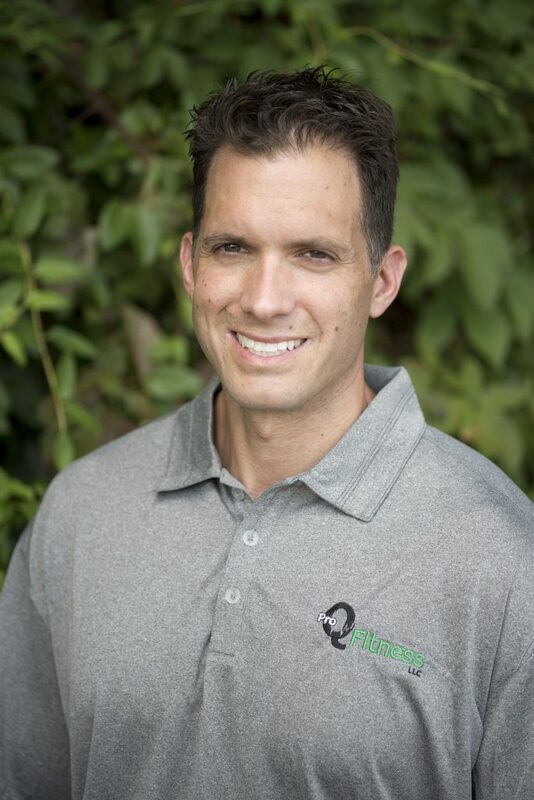 Joe Quinn, founder, and president created Pro Q Fitness in 2001 with the belief that exercise and wellness are essential to not only adding more years to your life but adding more life to your years! Joe attended Penn State University and received a BS in Kinesiology in 1997. Since graduation, he has committed himself and his company to the highest standards for health and mental well-being. Joe is a certified exercise physiologist and personal trainer through the American College of Sports Medicine. Life is a journey packed with endless mental and physical challenges where character is tested and choices have to be made both personally and professionally. True success is routinely measured by the willingness to work and staying honest about lifestyle habits and behavioral tendencies. As your coach, it is my duty to increase health awareness and help identify continuous unhealthy living patterns while employing the effort to guide you on the path to wellness. I make this work for each individual. Personal attitude coupled with desire delivers an authentic brand of results ultimately forging a perpetual life change. Stay hungry, stay humble and remain teachable.